What Should I Do After a Michigan Dog Attack? Your response right after a dog attack can be critical to preserving the evidence essential to any potential dog bite claim. Obviously, if you or other dog bite victims need emergency medical assistance, ask someone to call an ambulance immediately. Get the name, address, and telephone number of the Michigan dog owner. Find out if the dog was inoculated for rabies, when the dog got the rabies shots, and the name and address of the veterinarian who administered the rabies vaccine. Ask for the dog owner’s insurance information. Take down the name, address, and telephone number of the person who was supposed to be supervising the dog (if that person is not the dog owner). Look around the dog attack scene to locate all possible witnesses to the Michigan dog bite. Ask for their names, addresses, and telephone numbers (home, cell, and work). Listen carefully to comments that the Michigan dog owner or the witnesses make about events leading up to the dog bite, such as “the dog just ran away from me” or “the dog already bit someone else,” and write down these comments. Call 9-1-1, or have someone else call, to report the Michigan dog attack immediately. Generally, the police or a local animal control officer will interview the dog owner and file a report about the attack. In addition, the animal control officer may determine whether the dog is so dangerous that it needs to be immediately confined in an animal control facility. Even if the dog is not taken away immediately, the animal control officer can order the dog owner to quarantine the dog inside the house or a pen for several days, to see if the animal shows symptoms of rabies. Ask the police or animal control officer how you can get a copy of the official Michigan Animal Control Report that will be filed about this Michigan dog attack and how you can find out whether the dog had rabies. If you did not go to the emergency room right after the Michigan dog attack, see a doctor as soon as possible. It is very important to get a check-up, because you may not be able to tell how badly you are hurt. Even if the dog bite seems minor, you may need a tetanus shot. Be sure to tell the doctor that your injuries resulted from a dog attack and follow all his or her instructions about further medical care, tests, or treatment. If you or a loved one was seriously injured in a Van Buren County dog attack, talk with an experienced Ottawa County dog bite lawyer. Please call to get a simple, free and confidential legal consultation form about your Michigan dog bite claim now. Do NOT get into an argument with the dog owner about what happened. Do NOT sign any statements or documents about the facts of the Michigan dog attack. Do NOT answer questions from an insurance company or from an attorney representing the Michigan dog owner. Do take photographs of the dog bite injuries as soon as you can. Contact us immediately when you are injured by a dog attack or just a serious dog bite. You need to know your rights when explaining your dog bite injury to the insurance company. The only defense to a dog bite is provocation. The adjuster will try to get you to say that you did something to provoke the dog, even if it is unintentional. 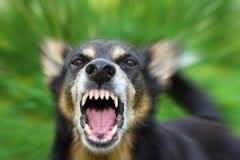 Dog bite insurance adjusters and attorneys are working for the owner of the dog that bit you to eliminate your claim. They will offer you nothing or next to nothing and even pretend to be acting for you when they are not. You need the Van Buren County dog bite attorneys of Krupp Law Offices PC representing your interests to ensure that you are justly and fairly compensated. Call us now and speak with an attorney that can explain your rights under the Michigan Dog Bite Statute. Considering dog bite attorneys work on a percentage of recovery on dog bite claims, it is beneficial to have the assistance of a dog bite attorney to help you with your claim. At Krupp Law Offices P.C., a Van Buren County dog bite attorney will evaluate a claim for free to determine whether you’re entitled to compensation. Krupp Law Offices P.C. serves clients throughout West Michigan, including the cities of Ada, Grand Rapids, Holland, and Grand Haven, and the counties of Kent, Ottawa, Allegan, Barry, Newaygo, Montcalm, and Ionia.